Despite all the fancy adverts and chest-thumping of its biggest rivals, BT is still far and away the biggest broadband provider in the UK – so it’s no surprise it has thrown its hat into the digital TV sports channel arena. And it hasn’t gone in half measures, instead taking on Sky head-on in bidding for the UK’s most popular events including the Premier League and Champions League football. 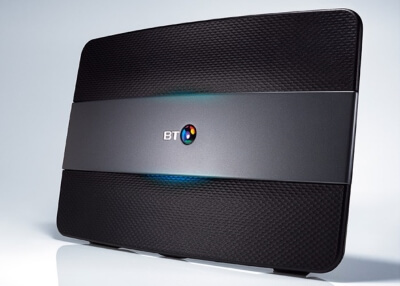 On this page you’ll find Broadband Genie’s guide to the world of BT Sport. We’ll examine what you’ll get from BT Sport packages, as well as examining the other sporting television options available to you – not to mention the benefits of doubling down with some added broadband thrown in. Read on below for the full guide, or search for a BT Sport deal on the comparison table. 100 channels. Available through a YouView box with Pause/Rewind functionality. Premium content is available through AMC and BT Sport which is available for free until 31st July. BT package also includes the BT Store and catch up TV. Football: The only place to watch Champions League until 2018 as well as 42 Premier League games. It also features games from the Emirates FA Cup and Uefa Europa League. 109 channels. Available through a YouView+ box with Pause/Rewind functionality and up to 300 hours of recording. Premium content is available through AMC and BT Sport which is available for free until 31st July. BT package also includes the BT Store, catch up TV as well as the BT TV app. 245+ channels including all Sky Sports, BT Sports + Sky Cinema channels in HD. Includes all channels: Sky 1, Sky Living, MTV, FOX, Sky Sports and more. x2 Virgin TV V6 boxes - record up to 12 channels at once (inc. pause + rewind), 2TB of storage with the ability to link up all boxes. Netflix + Youtube in 4k (account subscription required). 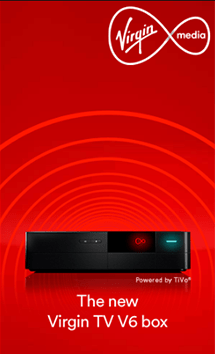 VIVID 200 Broadband + Talk More Anytime included. Record 6 shows at once while watching an existing recording or streaming from apps including YouTube and Netflix (subscription required). 1TB storage - pause rewind and record up to 500 hours of TV. Search across live TV, Catch Up, Box sets and Netflix. Virgin customers can enjoy TV on the go. Watch up to 100 live TV channels on a compatible tablet or phone. Register up to two devices to watch on. Includes Sky Sport and Sky Cinema, allowing users to watch live through the apps. Use the app to turn your mobile device into a remote, plus set up recordings on the go. Virgin’s new Wi-FI service. Free access to hundreds of Wi-Fi hotspots. Free to downloaded from the iOS App Store (Android coming soon). Automatically connect to hundreds of Virgin Wi-Fi hotspots on the London Underground (Virgin Wi-Fi app required). Free Virgin Media Super Hub (free postage and packaging) + free WiFi on London Underground for Virgin customers. 230+ channels, plenty in HD with the widest range: entertainment, box sets, documentaries, music, sport and kids channels. Includes all Sky Sports channels, BT Sports, Sky 1, Sky Living, MTV, Fox and many more, shown on the Virgin TV V6 box - record 6 shows at once. Netflix + Youtube in 4k (account subscription required). VIVID 200 Broadband + Talk Weekends.
. Record 6 shows at once while watching an existing recording or streaming from apps including YouTube and Netflix (subscription required). 1TB storage - pause rewind and record up to 500 hours of TV. Search across live TV, Catch Up, Box sets and Netflix. 230+ channels, plenty in HD with the widest range: entertainment, box sets, documentaries, music, sport and kids channels. Includes BT Sports, Sky 1, Sky Living, MTV, Fox and many more, shown on the Virgin TV V6 box - record 6 shows at once. Netflix + Youtube in 4k (account subscription required). VIVID 200 Broadband + Talk Weekends. Average upload speed 6MB. Free Virgin Media Super Hub (free postage and packaging) + free WiFi on London Underground for Virgin customers. Why should I get BT Sport? As soon as BT introduced its BT Sport offering in 2013 you knew it meant business. With around twice as many broadband subscribers as anyone else it already had the UK’s largest captive audience – and a great sport package was what it needed to put the icing on its digital television deals. BT Sport now offers a collection of ten dedicated sports channels in both standard and high definition, which are available across a wide of range of both its own and its rivals’ subscriptions. So if you’re a true sports nut – and especially if you’re into footy, rugby, motorsport, cricket or UFC – read on. Right through until 2021, BT Sport is the only place you can watch every single Champions League match. It also has 42 exclusive Premier League games scheduled for the 2016-17 season, meaning that if you want to catch every live televised game this season you have to add BT Sport to your Sky Sports deal too. But it’s not just these two premier (ahem) competitions. Soccer fans can also enjoy plenty of Emirates FA Cup coverage, alongside the UEFA Europa League and the Scottish Premiership. And if you love your European football, there’s coverage from all the biggest and best leagues: Italy’s Serie A, France’s Ligue 1 and the German Bundesliga. What other live sports do BT Sport packages offer? The Ashes: In 2017-18, BT Sport will be the only place to watch cricket’s oldest and best rivalry play out live, as England take on Australia for The Ashes. It’s the feather in the cap of an already impressive cricketing roster, as you can already enjoy all of Australia’s other test matches, ODIs and T20 games – as well as the Aussie Big Bash League and the Women’s Big Bash League. Ultimate Fighting Championship (UFC): The world’s premier mixed martial arts championship is one of the fastest growing spectator sports on the planet – and BT Sport is showing more than 30 of its biggest live events each year. And that includes the big pay-per-view shows that no true UFC fan can afford to miss. Rugby Union: BT has nailed down the exclusive rights to Aviva Premiership Rugby until 2021, with 69 live matches planned for the current season. And it also has coverage of the European Rugby Challenge Cup and Champions Cup, so you can follow your favourite teams into Europe’s two most prestigious club competitions too. 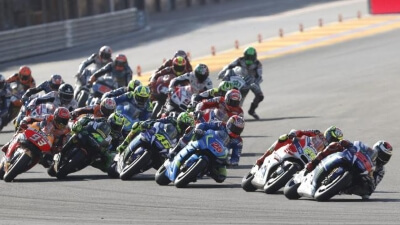 Motosport: On two wheels you can enjoy all the MotoGP, Moto2 and Moto3 races – as well as all the warm-ups and practices. And on four there’s coverage of both the FIA World Rally Championships (all of the 26 stages), as well as German Touring Cars and the full IndyCar season from the US. And that’s just the tip of the iceberg. You’ll find coverage of some of America’s most popular sports (both the NBA basketball and MLB baseball, as well as college football), plus world class tennis, hockey – even poker! And remember – ESPN is now also a BT Sport channel. While the BT Sport channels are already available in full HD, you can now go one step further with its new 4K UHD channel. Ultra-high-definition means you can enjoy the UEFA Champions League, Premier League, FA Cup and the Aviva Rugby Union at four times the definition of standard HD – it has to be seen to be believed. And you can enjoy BT Sport on the go. If you have an iOS, Android or Windows 10 device – be it a smartphone, tablet, laptop or PC – you can download the BT Sport app for free as part of your subscription. You’ll be able to catch all the best bits of the Premier League, FA Cup and European matches anywhere you can get an interweb connection – with the added bonus of multi-angle replays and stats. And if you do miss the game because you’re at work, on a plane etc, it’ll be there on catch up for you as you head home. How do I get BT Sport packages? One of the absolute highlights of BT Sport is that, if you’re a BT TV subscriber through your BT broadband connection, it is totally free. As prices go, you can’t beat it (although you’ll need fibre broadband, otherwise you can only benefit from the app). If you go for a Virgin Media deal you can get all four of the main BT Sport channels, along with all the Sky Sports channels, in a single package – as well as being able to watch them on the Virgin TV Anywhere app. This all comes as part of its top-of-the-range Full House and VIP bundles and you can grab it as an add-on on other packages. If you’re a Sky subscriber, you can add BT Sport to Sky TV for less than £30 per month (it’s a little cheaper if you don’t mind missing out on HD) – and you can do this on either a 12-month or month-to-month subscription (the latter of which is slightly more expensive, but while it isn’t cheap it does offer great flexibility). It’s a similar story for TalkTalk TV customers, who can also subscribe to the four main BT Sport channels (but only in standard definition) on a rolling month-to-month contract that you can buy for just over £20 per month. 1. 5.30pm kick-offs: For anyone who’s walking out of a 3pm Saturday kick off towards their local pub for a few post-match pints, the 5.30pm kick-offs on BT Sport are a fantastic backdrop to your own post-match analysis. 2. The no-nonsense of UFC: Sure, it has some razzmatazz and some big name stars – but after years of suffering the pathetic posturing of boxers, it has been a pleasure to get behind the stars of the UFC. Generally down to earth, these people seem so much more grounded – and pound-for-pound its way more exciting. 3. The cream of the crop: In cricket, if you’re an English fan, The Ashes is the top of the top. If you’re a football fan, anywhere, The Champion’s League final is the big one. BT Sport has shown its commitment to sport by landing them both. 4. 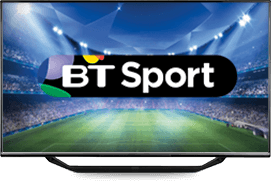 Unbeatable value: If you’re a sport fan and a BT Broadband or TV subscriber, you’re in heaven right now. Getting this quality of sport for free is never going to last forever, so enjoy it while you can! 5. Glorified rounders: Sorry, but call it what you want – we love our baseball here at Genie Towers! You can’t argue with the commitment of teams that play 162 regular games in a single season – especially when at the end if it all the (slightly loftily named) World Series often goes right to the wire. If you’re now convinced that a BT Sport package is the way forward, you should take some time to consider your all-round home entertainment package. With a saturated market it is always a good time to switch, and it has never been easier to do so. All the leading UK broadband suppliers offer great deals to switchers, with anything from free periods (anything up to six, 12 or even 18 months) to free gifts and vouchers. And you’ll also tend to find the best deals go to those who ‘multi buy’ – getting their TV, broadband and even mobile together on a single package. Not only can this save you money, but it’s also super convenient. You only have a single bill to process, as well as a single point of contact if you want to alter your subscription – or if anything goes wrong. So take a good look at all Broadband Genies great deals before making your final decision – and enjoy the game!